← Gummy Shark Scarf! New pattern in my Etsy shop! Getya Custom Corn Dog Pen Cozies Heeyeeah! 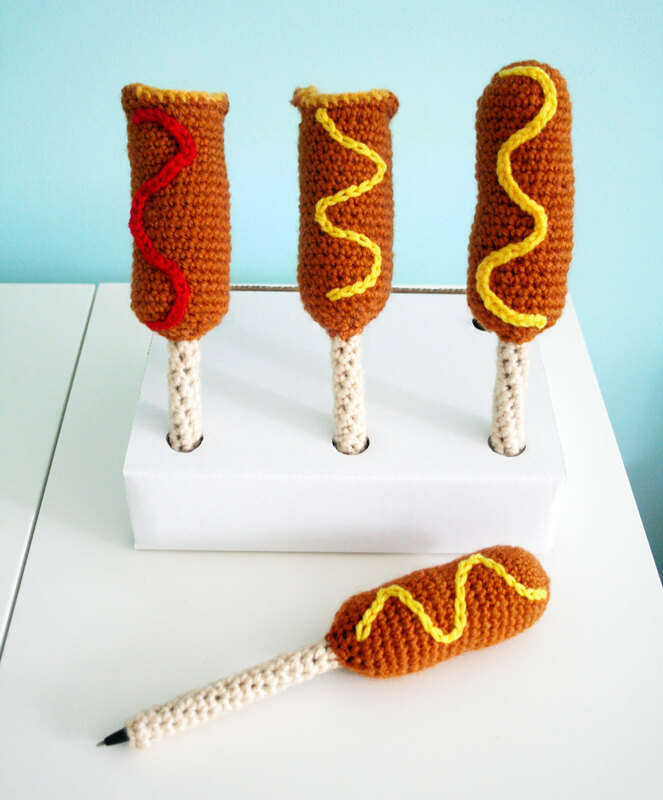 I sold out of the initial run of corn dogs from Renegade Craft Fair, but now I’ve made them available for custom ordering on Etsy, which means, you get to choose between mustard or ketchup, bite, or no bite! If y’all think of other customizations you might want, just lemme know! I’m thinking of also turning him into an actual puppy dog or puppy corndog character with ears and a face! Also, I thought it would be cool to get a behind-the-scenes look at the stop-motion corn dog video that my buddy Justin made. Checkitout!